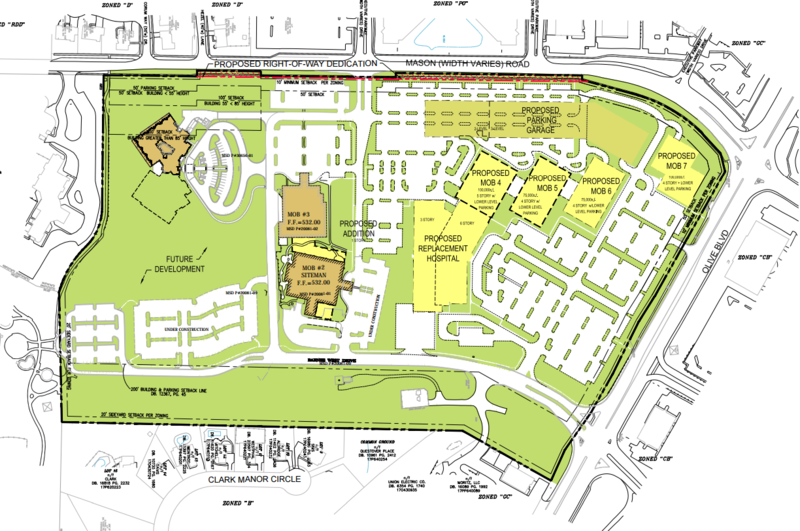 The Creve Coeur Planning and Zoning Commission will review revised plans for a new BJC West County Hospital at its meeting next Monday. 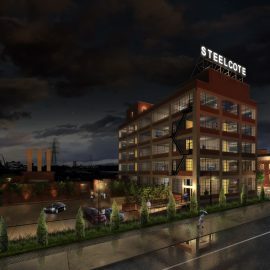 Previous site concept plans submitted to the city were approved in 2014, and again earlier this year. 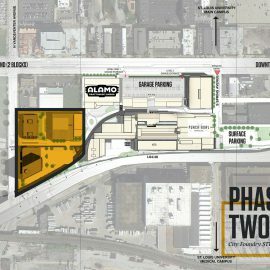 Proposed is a total of 1M sf of space, including construction of five new buildings, one addition, and the retention of three existing buildings. 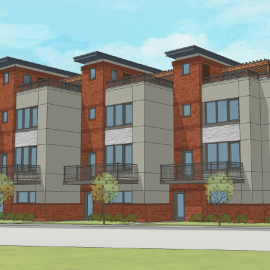 A new six-story, 260K sf hospital would replace the existing hospital, while four new medical office buildings of 75-100K sf would extend to the corner of Olive Boulevard and Mason Road. Just more than 200K sf of additional future development would bring the total to 1M sf. 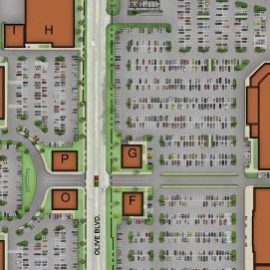 An 875-space parking garage would be built adjacent to Mason Road. 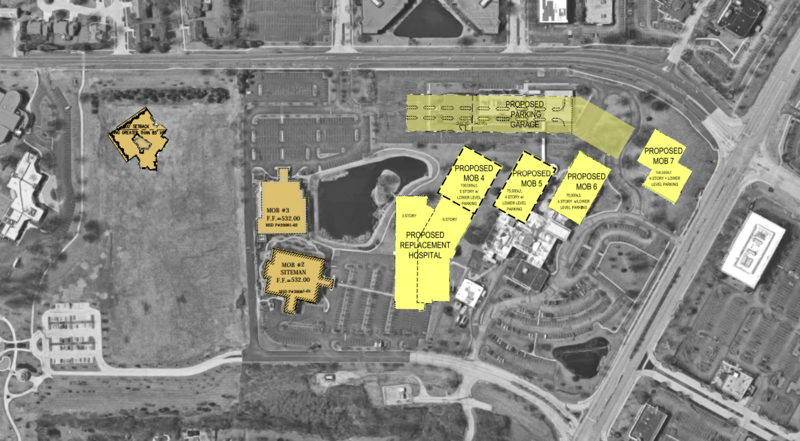 Surface parking would replace the current hospital site, with a total 2,640 spaces planned. The 31-acre campus is about one mile west of Interstate 270. The current hospital facility has 77 beds. It is not known how many beds would occupy the new building. Leading design of the approximately $100M project is Christner Inc. KJWW is serving as lead engineer. The facility was formerly known as Faith Hospital. It was founded in 1937 at Taylor and Maffitt avenues in St. Louis City. In 1950 the hospital moved to 3300 North Kingshighway in the Fairgrounds Park neighborhood. Faith Hospital then moved to Creve Coeur in 1969. 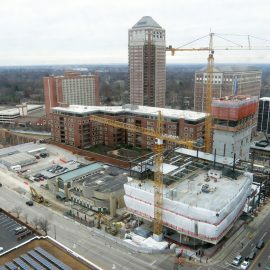 BJC bought the medical center in 1989. West County Hospital features a Siteman Cancer Center branch, an intensive care unit, and acclaimed gastroenterology and orthopedic departments. The Siteman Cancer Center is the only National Cancer Institute-designated Comprehensive Cancer Center within 240 miles of St. Louis.